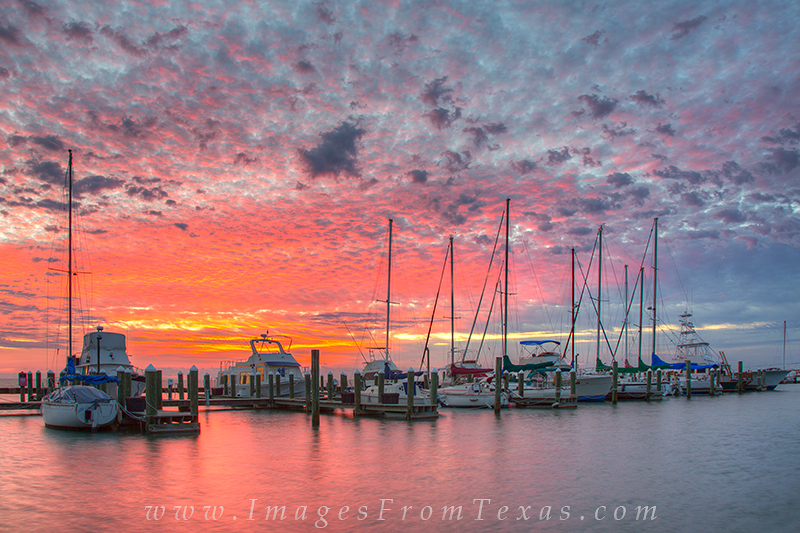 On a crisp fall morning, the boats in the little harbor of Rockport-Fulton awaken to a glorious and colorful sunrise. I didn't know the clouds were going to light up like they did, but I was pleasantly surprised and rewarded for an early morning on the Texas coast. Photo © copyright by Rob Greebon.